Comment: A large pocket plate of two-generations of Olmiite, that spans 9.5 cm vertically and 8.5 cm horizontally. It curves gracefully and really displays more 3-dimensionally than it appears. 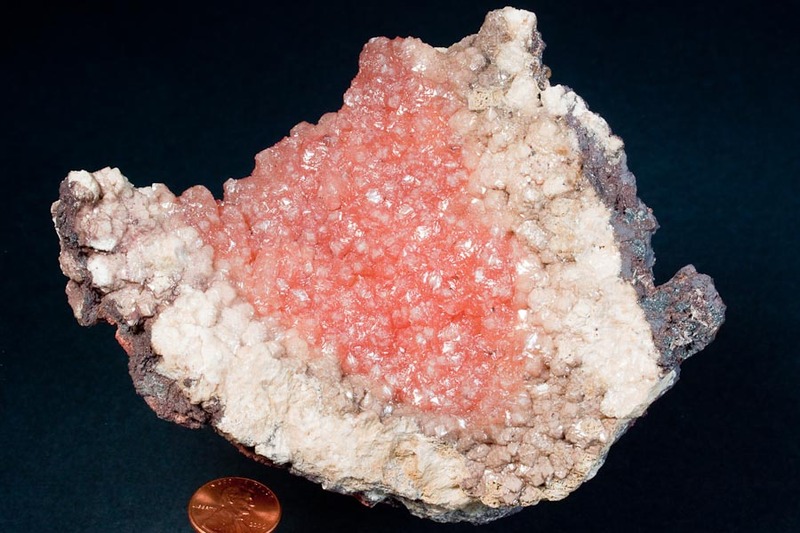 The first generation is composed of the light flesh-tone crystals up to about .4 cm, while the second generation are a deep orange-pink variety with great luster and good translucence. 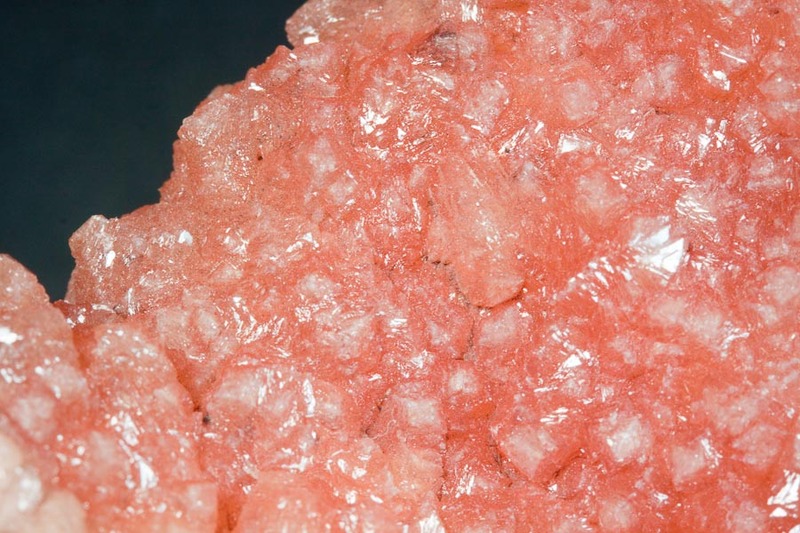 There are more first-generation crystals on the back.